While I typically prefer coffee over tea, I still enjoy a good mug of tea to change things up. 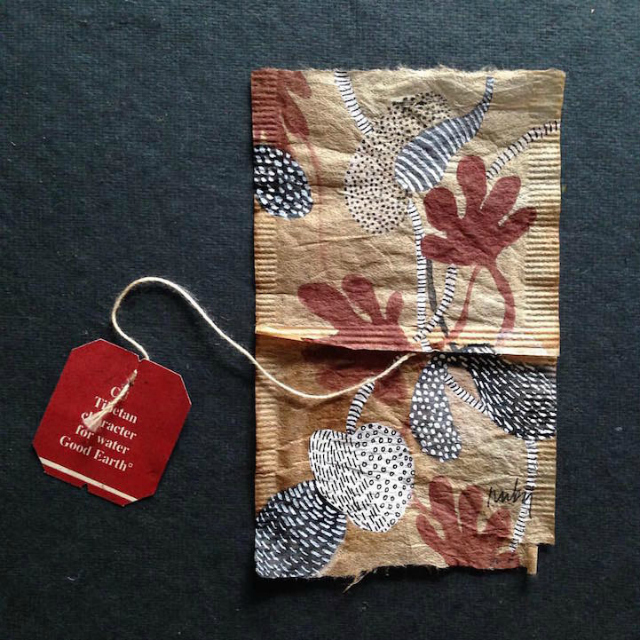 Normally, my used tea bags are tossed into compost and I go on about my day, but after seeing Ruby Silvious's work I'm seeing things differently. 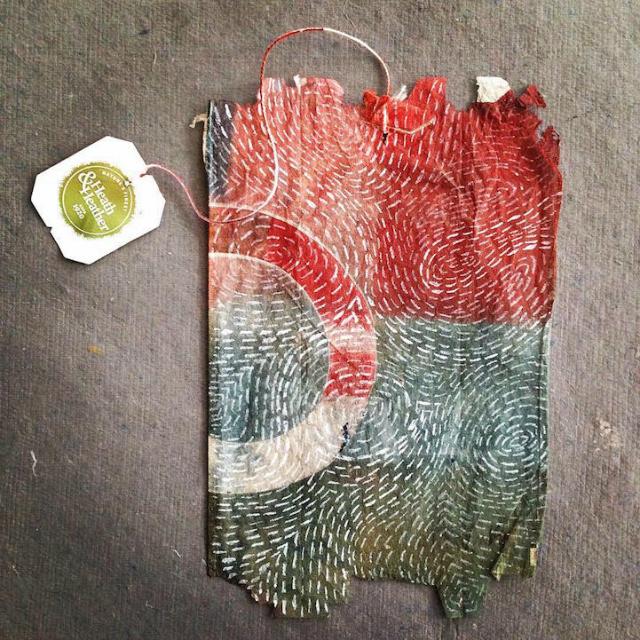 Ruby Silvious is a graphic designer and she views tea bags as a blank canvas. 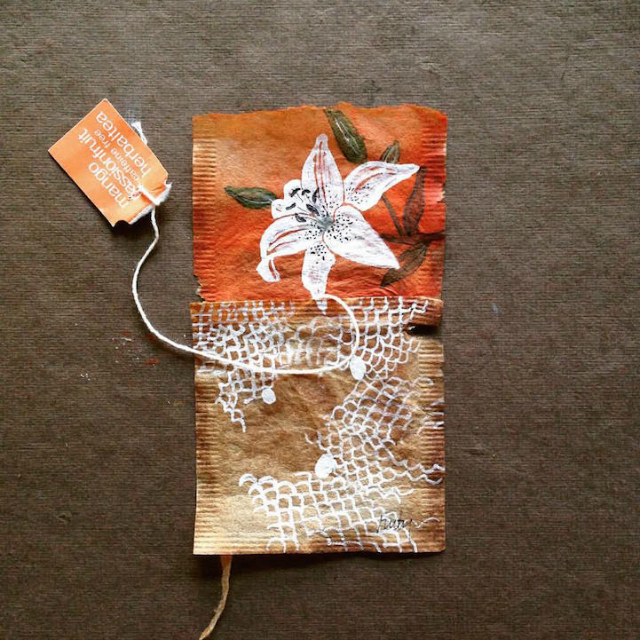 She took on a project called "363 Days of Tea" this year where she draws, paints and collages art on to used tea bags. 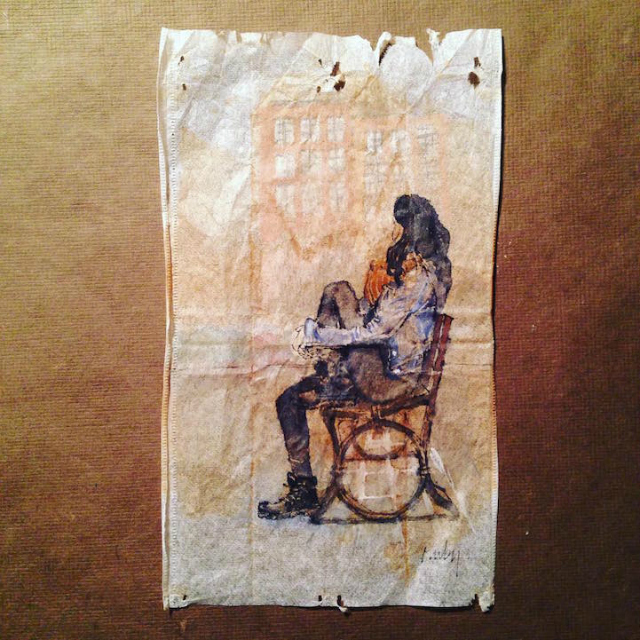 Unconventional to say the least, her work has become a journal of sorts where she documents her thoughts and feelings through art. She's nearing the end of this project and let me just say that I plan to see this through to the end. You can follow along too on her Instagram or her Facebook page. This is so awesome!! As an art therapy major, I really appreciate this. 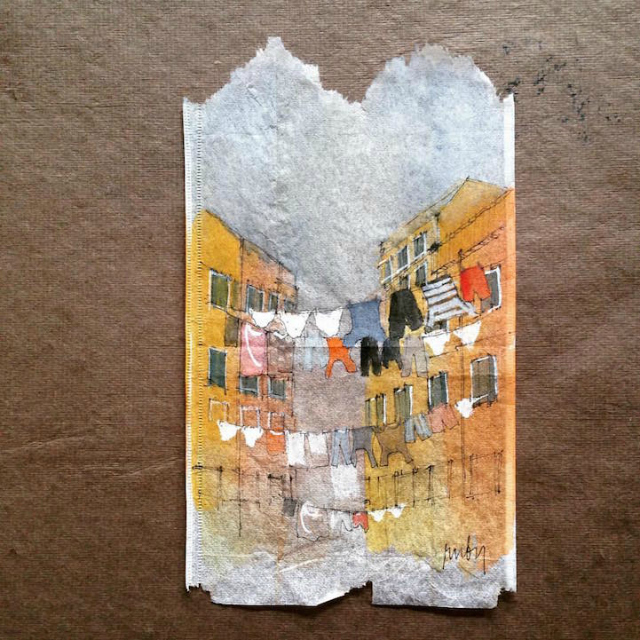 I'm going to check out more of her stuff - thanks for sharing! so lovely and original ! 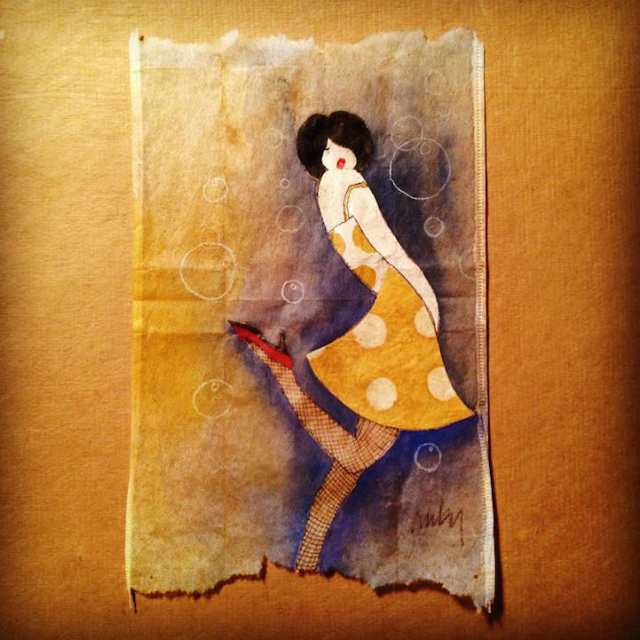 I'm a daily tea drinker and Ruby's gorgeous art is totally giving me a new appreciation for tea bags! Wow these are incredible! So unique! What a fun post! I am a coffee girl myself!! omg these are some amazing work of art! so creative :) that attention to detail! Absolutely beautiful... 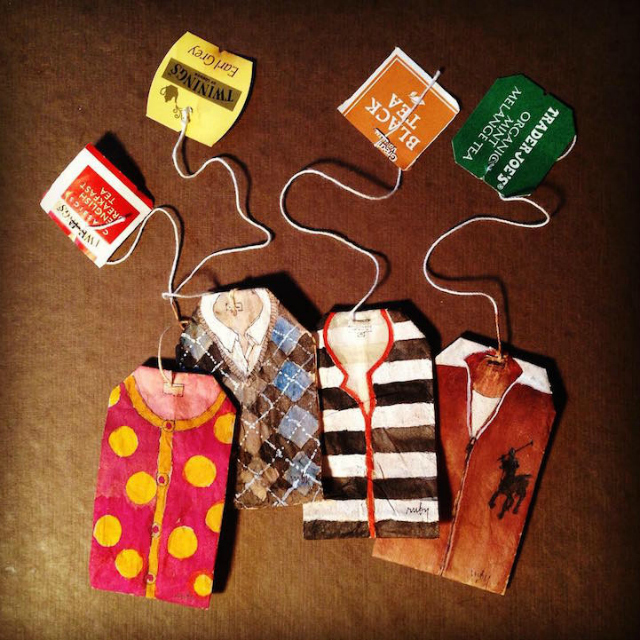 I also prefer tea over coffee and this is definitely a unique way to repurpose tea bags! Such a great idea! I'm a coffee drinker. 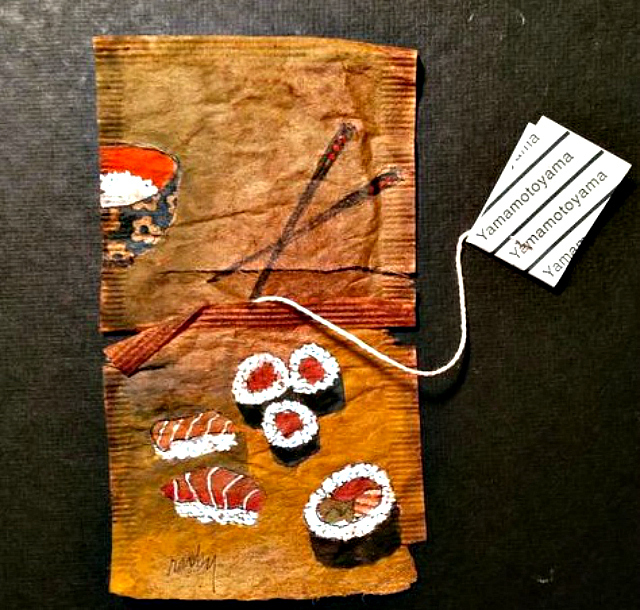 But these are definitely adorable little works of art. oh my goodness! 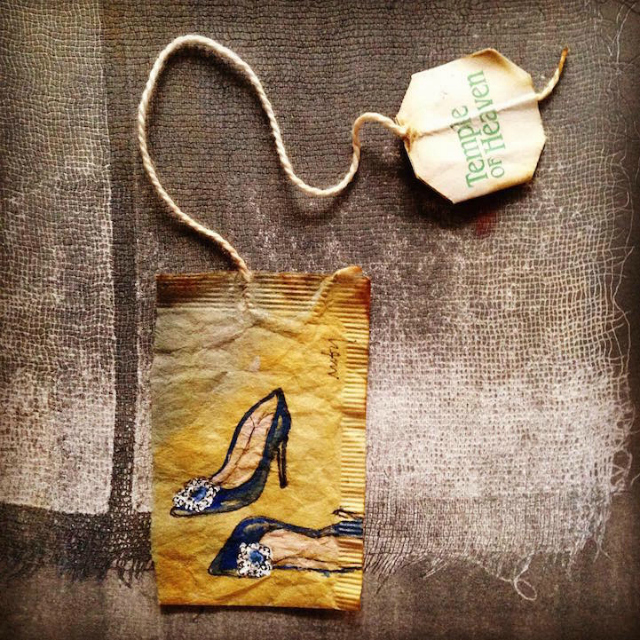 those tea bags! so dang cute! you made me say "yes" in agreement with you four times in your first paragraph :) these are wonderful works of art :) very creative and unique!